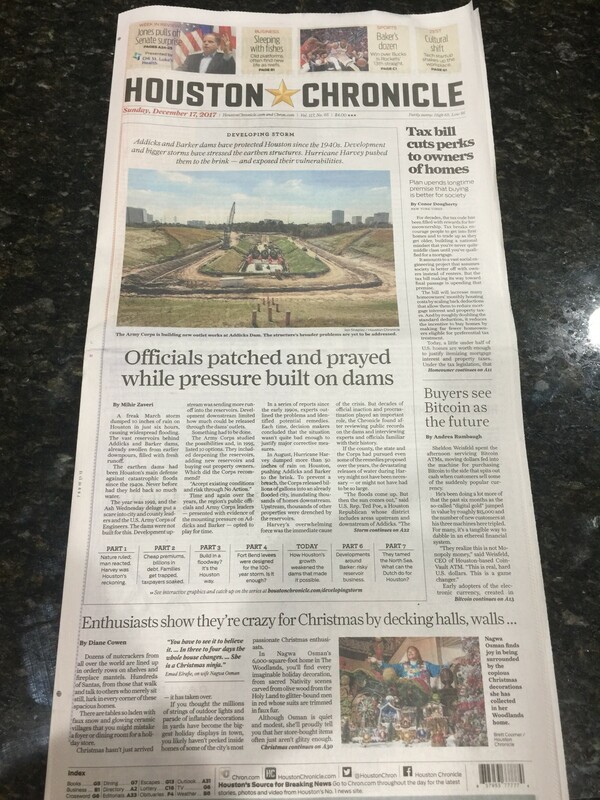 Bitcoin-sCrypt was briefly mentioned in an article on the front page of the Houston Chronicle Sunday print edition. The Houston Chronicle is the third-largest newspaper by Sunday circulation in the USA. The only bigger newspapers are the New York Times and the Los Angeles Times. Big things are in store for BTCS.